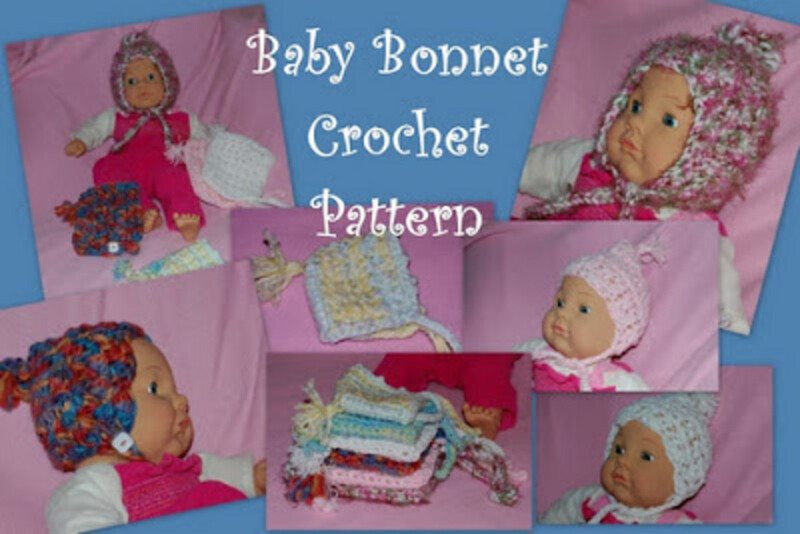 On this page you will find free crochet patterns for baby bonnets. I have also included links to my favourite go-to patterns. Whether its for a new-born or a christening set, you will be sure to find the perfect pattern here. These are so easy to make, and can be made in under an hour or so. People love nothing more than seeing babies with these beautiful bonnets out in their prams for a stroll. With the ruffles and feathers blowing in the wind. There is something very modern and cute although they still have a very vintage look about them. 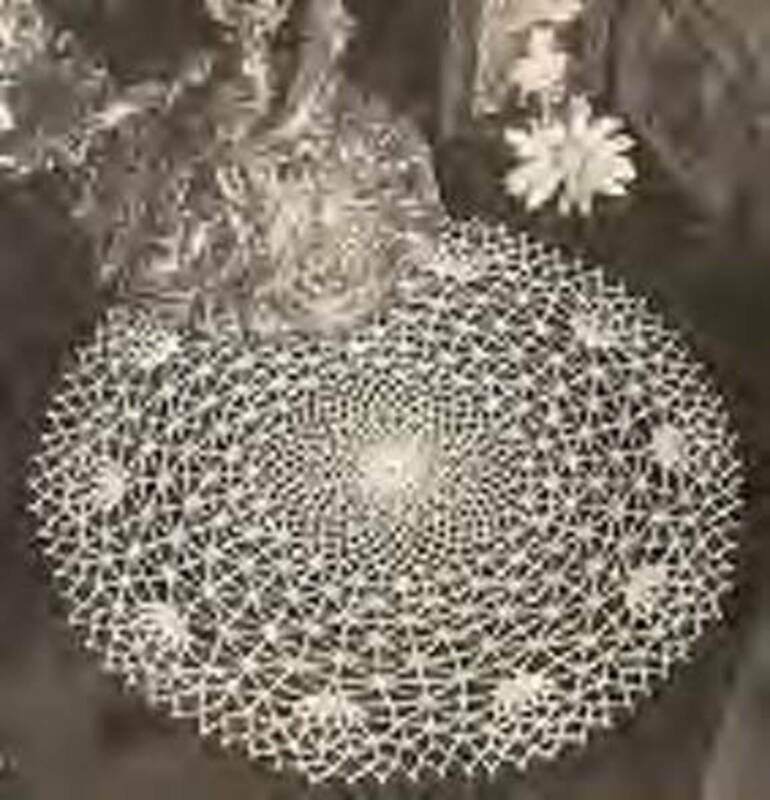 Even though people assume they are very advanced crochet work and look rather intricate, you will be surprised just how easy they are to crochet. This would be a welcome gift for a newborn, preemie, or a christening. It is so easy to make and takes no time at all. I used a 3.50mm hook and baby yarn. 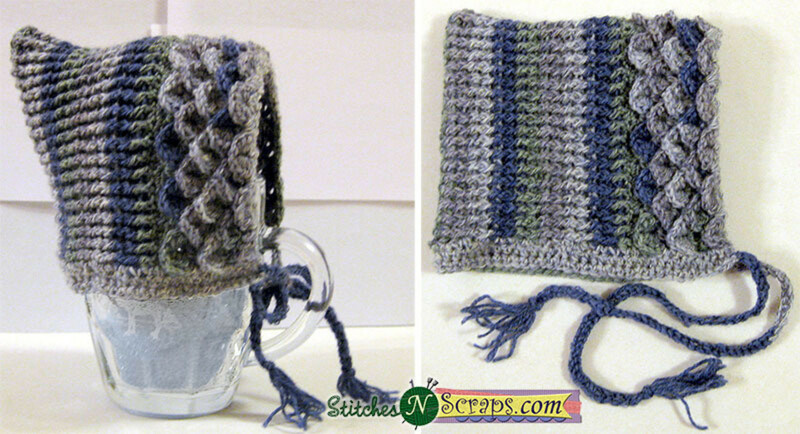 This really is a very easy pattern to get you started crocheting. The basic cap design is the basis of many of my frilly creations. Just let your imagination go mad. 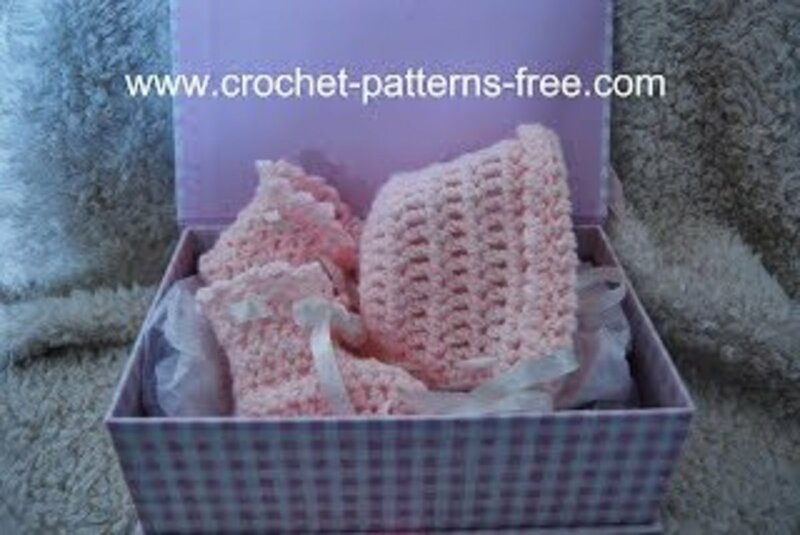 This is also the basic pattern as shown by the white bonnet and booties images. The only difference is that I have added ruffles to the bonnet. 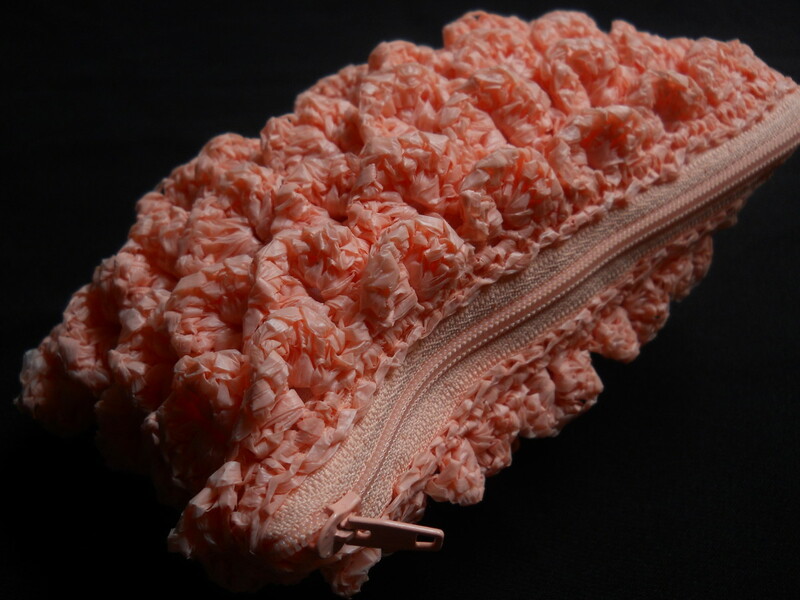 Watch the video on this page to see how you can make ruffles along the edges. Easy! This is the basic pattern. 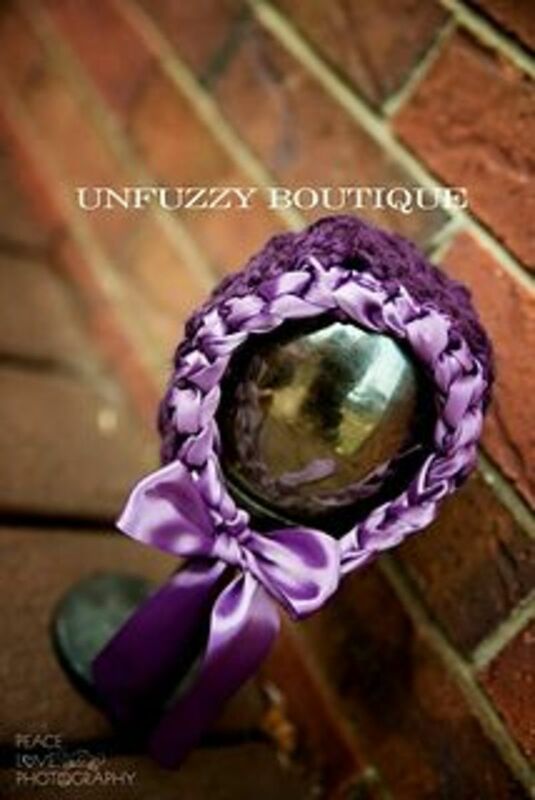 You can add the ruffles and how ribbons or feathers and decorate it as you feel fit. None of my bonnets are the same, unless mums ask for a specific one I have made. This is was one of my very first patterns I ever wrote down. I am more than pleased with it. As I say, adding the ruffles and feathers is a personal thing, and you can adorn your hat and make it pretty. If anyone can help with the correct terminology for the stitches, please feel free to add them in the comments section below. ROW 8: (Chain 3, skip front post of previous round and treble into next stitch. This creates the shaping for the front of the bonnet. ) Work 1 tr, skip 1, chain 1, 1tr to last stitch. Do not fasten off. Work 3 single crochet in corner stitch and work sc around the base neck of bonnet to finish. SC around the neck and bottom of bonnet to finish. To decorate add on feathers, ribbons and decorate as you wish. Watch the video on how to add ruffles to your bonnet. You will be working INTO the ridges made by the front post trebles. I have provided photos for you to see an undecorated bonnet. Basic bonnet; you can add and embellish as required. This is what the Bonnet looks like before you add on extra ruffles. Instead of the last round, you could finish off with shells. The possibilities are endless, and you can become very creative, adding on your embellishments. I get asked all the time how to make the 'poofs' or 'ruffles' on the bonnets. I must admit that in the beginning even I could not work out how to add them, but I found this awesome tutorial on YouTube. Once you watch this video you will be amazed at how easy it is to add those fluffs and ruffles. I now find myself adding ruffles to cardigans, borders to baby blankets hats and many more of my projects to give them that vintage twist. Now once you have the ruffles on the bonnet, you are just "dressing" the bonnet and finishing with your chosen embellishments. There are a few options for your hats. You can buy ostrich feathers with a trim, but they do need to be cut down to a better size. Just hand sew it around your hat. Or, buy lengths of ribbon and gather around the trim of the bonnet and stitch in place. I Do NOT have an actual written pattern for the bonnet in the picture, it was made using the pink basic bonnet pattern and I added a simple ruffle around the bonnet and threaded a ribbon around the front. I not only love the color of this one, but it is also made in several sizes. I love the pretty ribbon finish and how delicately it frames the face. This would look perfect on a baby. Posh Pooch Designs baby bonnet. Used with permission. I Used a 3.00mm hook and Baby Double Knit Yarn. 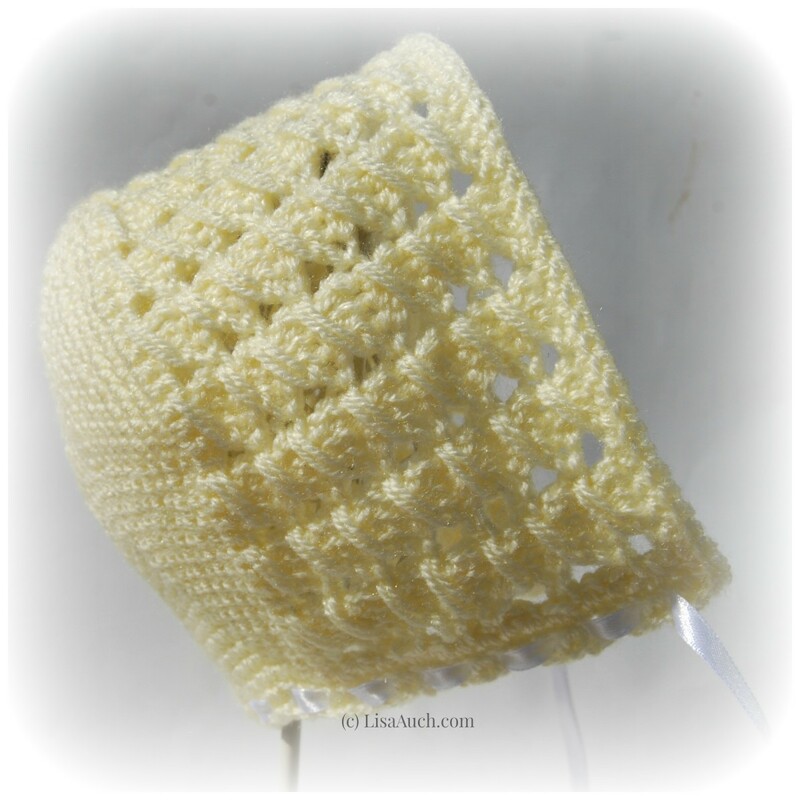 You should be able to work a double crochet crossed stitch). Starting at the center back: Chain 3 sts, join with a slip st to form a ring. Make 6 sc into ring. 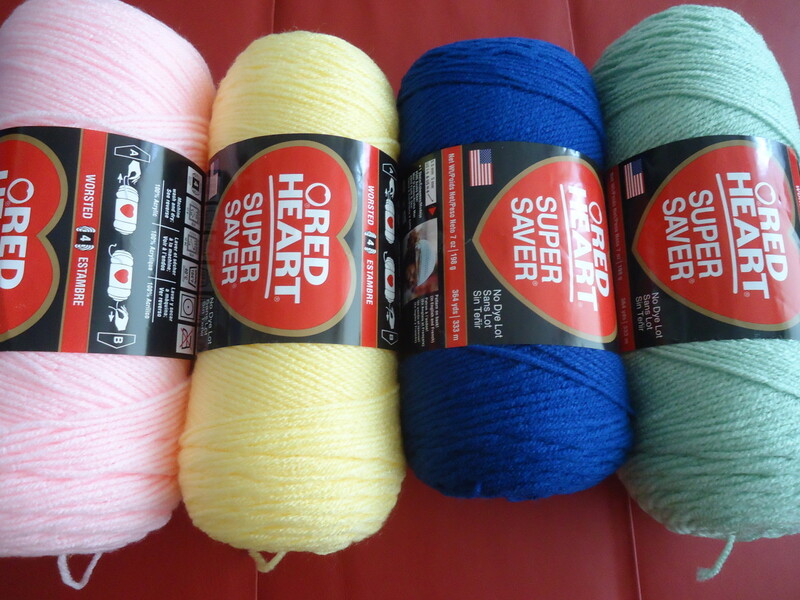 2nd ROUND: 2 s c in each st.
3rd ROUND: (Mark the beginning of the round with a colored thread.) 1 s c in next st, 2 s c in next st, repeat around once. 4th ROUND: 1 sc in next 2 sts; 2 s c in next st; repeat around once. Keep increasing 6 sts on a round, having 1 more stitch between each increase until you have 12 sts between each increase. (84 sts). Chain 1, TURN your work, sc for 70 sts; Chain 4, turn. Next ROW: work in the PATTERN STITCH (PATTERN STITCH = Chain 4 sts; * skip 1 st; 1 d c in next 3 sts; 1 d c back into skipped st; repeat from * across row, end with d c in last st.). (17 groups) for 3 1/2 to 4 inches. Work 1 sc in each st across front. NECK BAND: Tie yarn at corner, s c along neck edge, placing 2 sts on each row across front piece, 1 s c in each st across back section, 2 s c on each row on 2nd front piece. Chain 1, turn and work in s c for 3 more rows. Break yarn. Weave in all ends and thread through a ribbon around the neck opening. So easy to make and so cute. As I work through these I will leave a comment and perhaps include a finished picture of each. This list continues to grow each day as I find more a more beautiful patterns. I will only ever add tried-and-tested patterns I have made by myself. Gorgeous rectangle shaped bonnet with a ribbed front. 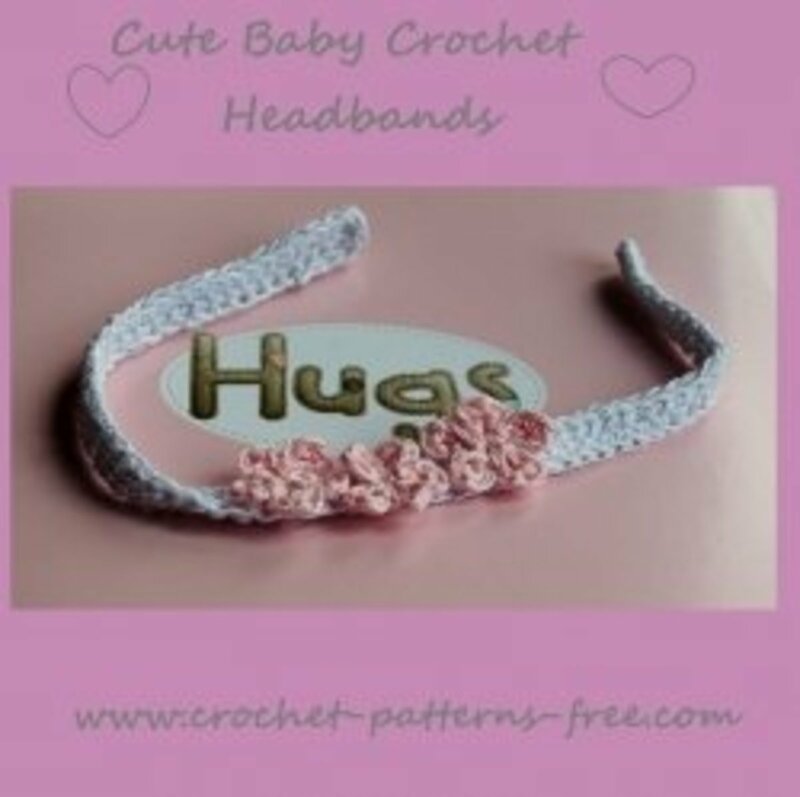 Free crochet baby bonnet pattern; easy step-by-step instructions included. 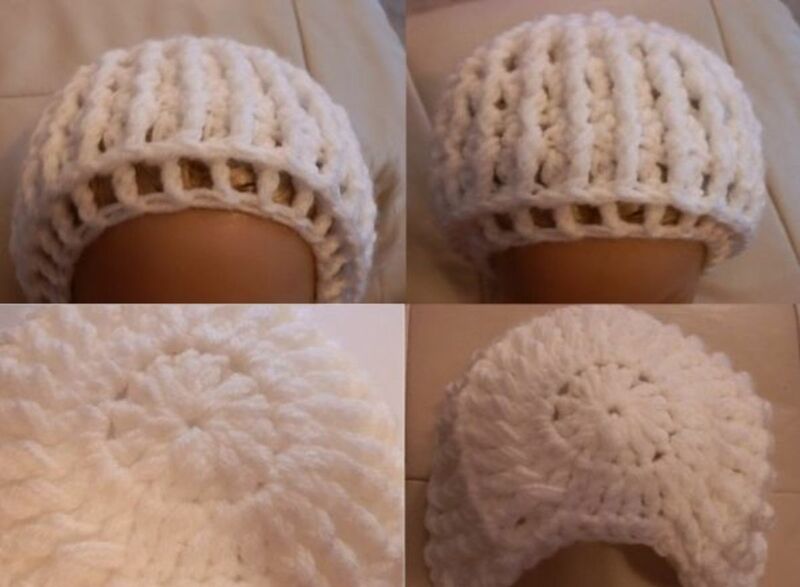 Puff stitch baby hat pattern. Ruffled hat for a preemie. Designer baby patterns, created with care and love for babies. This pattern takes 20 minutes to make. 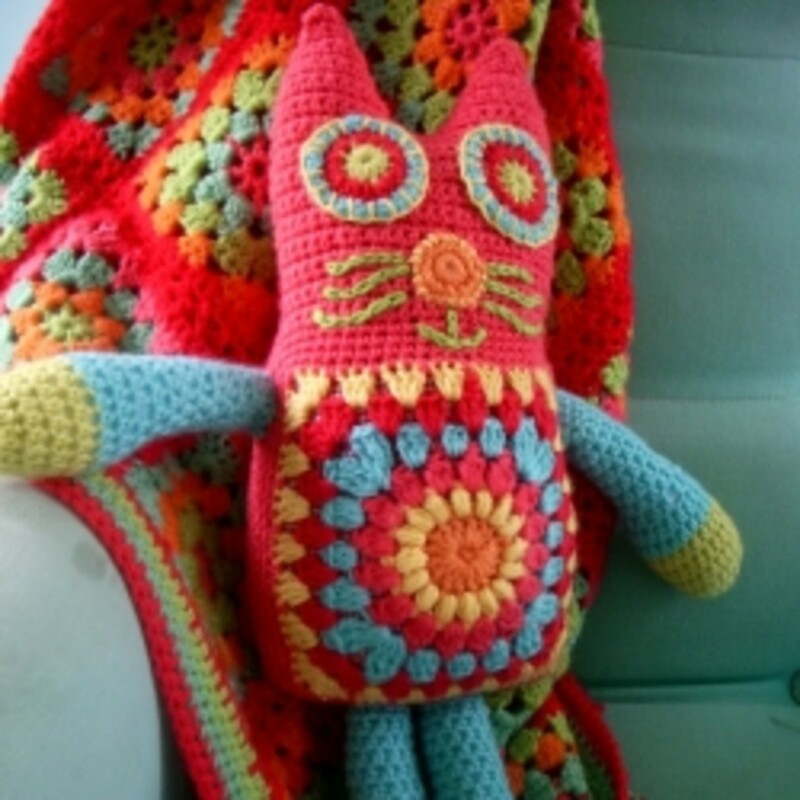 Explore crochet with real people who love to stitch with yarn and hooks. Crochetville welcomes all skill levels. 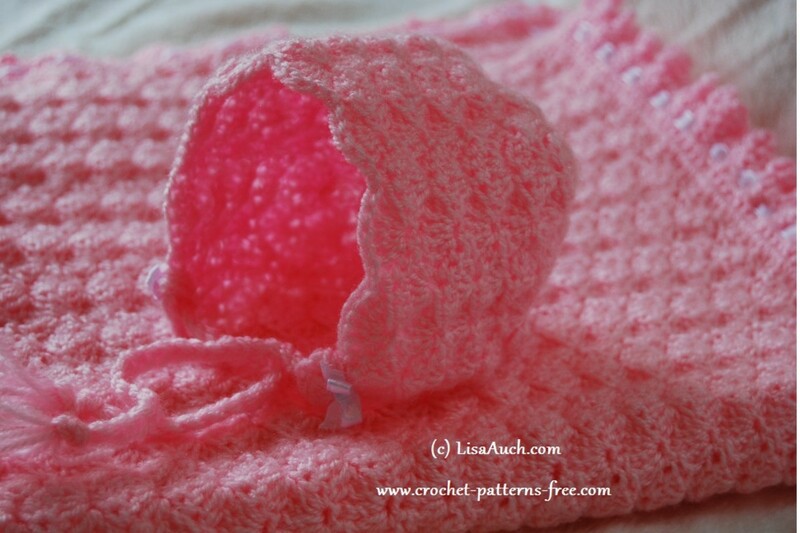 Easy shell-stitch bonnet by Bundles of Love. These patterns are an adorable and easy project. 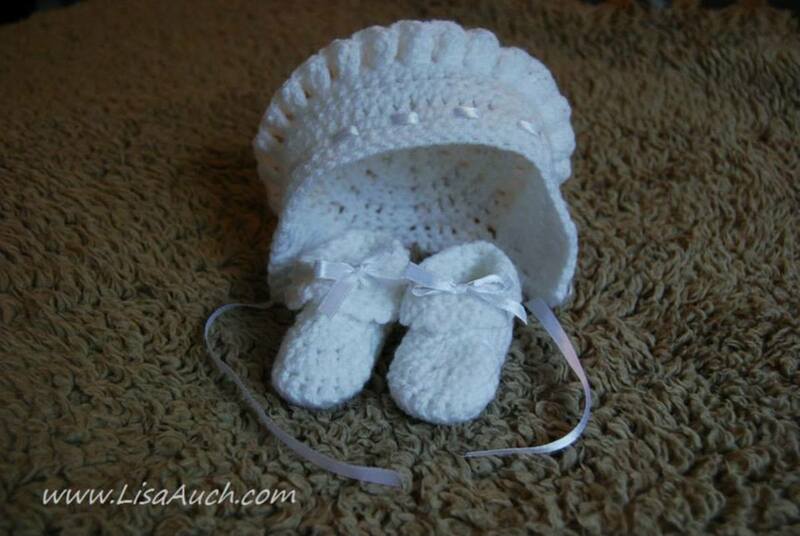 This is a cute three-piece set of a sweater, hat and booties made up in the shell stitch. Bonnet worked in front and back posts; you must try this. Cute and easy in shell pattern. 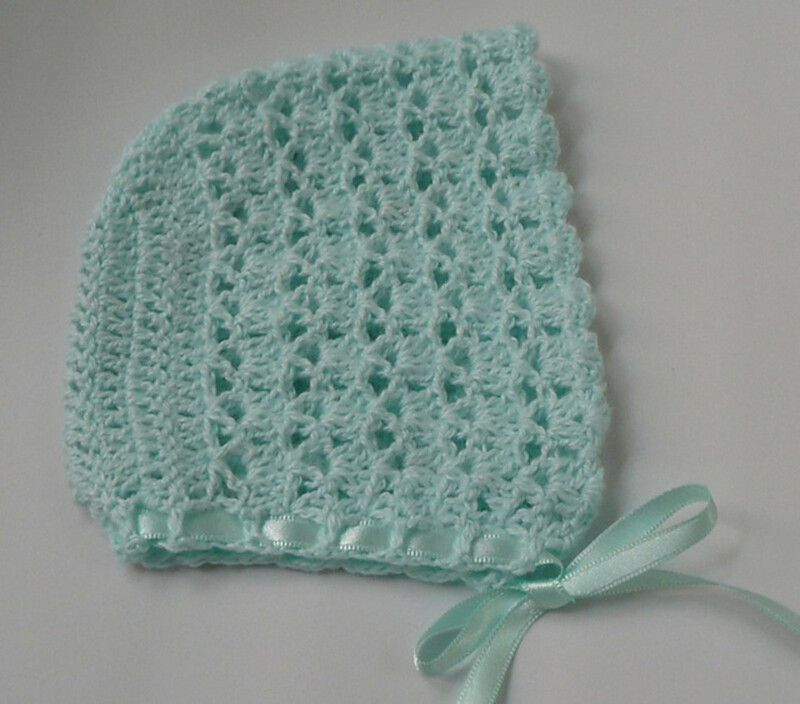 Beautiful Crochet Babys Bonnet? I Love When You Tell Me You Have Been Here! Beautiful bonnets, but I can't seem to find the white one shown with the white booties...it is number 6 in the slide show.....seems to be rows of sc or hdc then a ribbon row after the last ridge row...but I am not sure. Our club also makes baby items for charitable purposes and I sure would like to stick a few of these in the donation. I love all of the items on your page. Lovely and thank you for the patterns, I cannot wait to try one or more!! As a soon to 8x grandmother, I believe all baby items should be washable. Instead of feathers, try incorporating a washable FUN fur type yarn into your pattern. I'd used this technique to border afghan, etc. I want to do the white hat and white booties but can't find the pattern.....any suggestions? I love the maribou feather trim for a special bonnet. I can't figure out the slip stitch around the front edjing. Everything else was went really quick and easy. This Christening bonnet is so adorable! Thanx for patterns. paulett here ,i forgot to tell you how sweet this hat is !!! i bought feathers i saw this hat an said how sweete,just dontknow how you added them? how did you add the feathers to hat? What a nice lens! Darling hats! These are cute! I wish I knew how to crochet. Maybe one day I'll have time to learn! Very pretty bonnets. Soft looking too. Thank you for working out the step-by-step and sharing it with us. I know that takes a lot of tedious effort! @anonymous: Good luck Gillian, any problems just stop by and leave a message here and I can get to you or on my crochet blog! such cute baby bonnet patterns! Wow, so many free bonnet patterns. These are adorable! That is so pretty. I really need to learn how to crochet! Love this pattern and thanks so much for sharing. 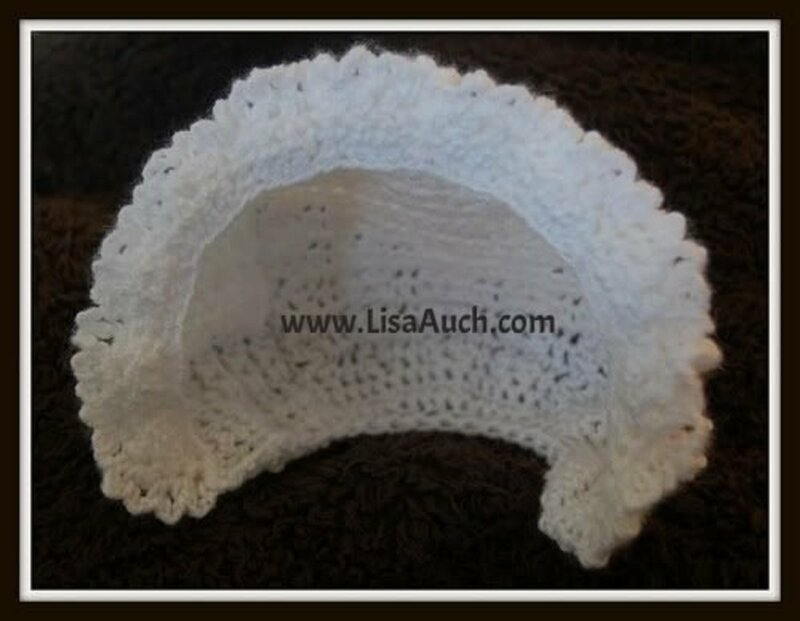 I will use this pattern for my next bonnet (I make blankies and bonnets for newborns at a local hospital.) These are newborns whose families don't have much and who can take the blankies and caps home with them. This is a beautiful pattern that will work out nicely for this project. Blessed. I can't quite tell if this is made with thread or yarn, But it would work for both. I love the flowers on the rim. beautiful. blessed.